Call It Home Properties uses continuous radon monitors that give you an hourly and average breakdown of the test results. We do anything from long to short term tests ranging from 2 days to a full year. With this capability we have quick turn arounds for real-estate transactions. Testing should be redone every 2 years or after a renovation or structural change on the home. When should I test and mitigate? 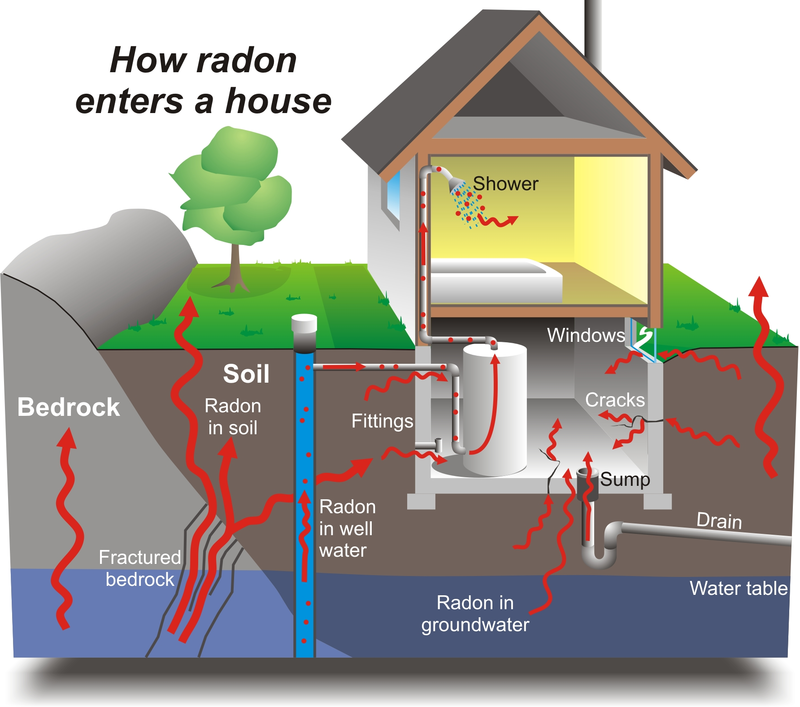 The only way to know if you have a radon problem is to test for it. Radon levels can vary from home to home. The EPA recommends testing in the lowest level of the home that the owner plans on living in. The EPA has set an action level of 4 pCi/l anything higher than this is strongly encouraged to take corrective measures and mitigate. Radon is a colorless, tasteless, and odorless gas that comes through the soil anywhere where your house is in contact with the soil. It comes into your house through cracks in the foundation, pipe and service entries, sumps, block wall cavities, exposed crawl spaces, mortar joints and well water.